What if I told you getting 10,000 pageviews to your site was relatively easy and took about 45 minutes? Would you even believe me? Probably not. You’d probably think old Perrin had finally gone off the deep end. Getting 10,000 pageviews to your site is relatively easy and takes about 45 minutes! For real. Of course, this isn’t some trick that’s going to make you rich. And it’s not all rainbows and butterflies; there are plenty of catches here. And it’s really not even particularly easy (it's not easy when you start, anyway; it's really easy after you learn it). However, the methods I’m about to show you have a few other things going for them: (1) they make traffic-driving efforts incredibly efficient, (2) they can get you big numbers, and (3) they can get you absolutely amazing links. Interested? Good! Because I’ve been pumped to show you these hacks for a while, and I’m excited to finally unveil them! This post has a pretty long introduction. The tactics are in the second half, so please feel free to skip down there. However, I think understanding the Reddit site, community, audience and technical structure is vital to optimally promoting your content there, which is why I’m spending so much time on that stuff. First, what is Reddit, and why should you use it? Most social media marketing is a grind. With Facebook, you almost always have to spend money to get likes, and likes have been absolutely plummeting in value, since Facebook is throttling the organic reach of business pages. Then there’s Twitter, which heavily polices the rate at which you can follow people, which, for the little guy, drastically affects the rate at which you can get followers. Now, don’t get me wrong. I’m not saying social media marketing is bad. I think it’s great. And there are hyper-successful people building businesses on every platform. I’m just saying that as time goes on, it becomes more and more of a grind. It’s very tough to log onto Facebook or Twitter and generate 10,000 visitors in a month’s time from scratch—unless you fork over gigantic fistfuls of cash. At its simplest, Reddit is a platform for people to share interesting things they find on the internet. 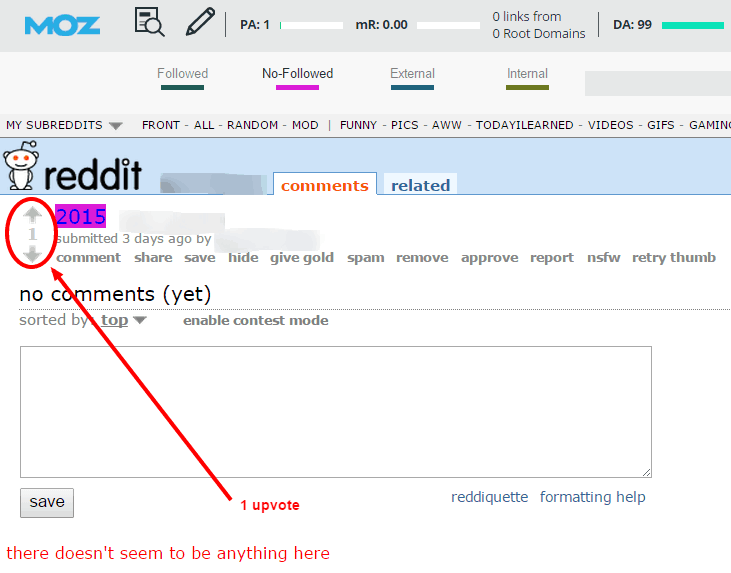 When something is submitted, it gets “upvoted” or “downvoted” by Reddit users. As a submission gets upvotes, it can get bumped to the “Hot” page. This can happen in smaller sub-communities (called “subreddits), but it can also happen across the whole site. So, a very, very popular submission might end up on the front page for a short period of time. In other words, the more upvotes something has, the more visibility it gets. The difference between Reddit and other platforms, though, is in the sheer number of submissions, the insane traffic volume, the immediate access to all users, and the speed at which the site changes/updates. Suppose you have a great post that you want to market on Facebook, and you’re really hoping it’ll go viral. When you post that thing on Facebook, the only users you have access to at first are the people connected to your page—and of those people, only a fraction will see it because that’s just how Facebook’s algorithm works. You could buy ads, of course, but you’re still limited to the number of eyeballs you’re willing to pay for. No one else is going to see it until someone likes it, shares it, or comments on it. Maybe someone will, and maybe it will set off a viral chain reaction, but the chances are relatively low, since only a few hundred people will even be exposed to it in the first place—and that’s only if you’ve already built a business page that has many thousands of likes. The same goes for Twitter. When you tweet something, you only have access to your followers, and only a small percentage of those folks will even see it. Reddit is different. Anyone can submit anything anywhere, since it’s essentially (and mostly) a free-for-all forum. There are rules, of course, but as long as you’re not posting something stupid, you can basically post anything. Every post has to be submitted to a subreddits (sub-community), and the front page of Reddit aggregates the best posts from the most popular subreddits. So, when you post something to Reddit, you have immediate access to all the people in that subreddit (as low as zero people, but up to millions), although your post still needs upvotes for visibility, and you have potential access to the entire user base of the website. This is why, in my opinion, Reddit is the single best viral engine in existence. It’s so good, in fact, that Reddit users have coined a phrase for a fairly frequent phenomenon: the “Reddit Hug of Death”, which happens when a site hits the front page of Reddit and immediate gets destroyed by the traffic. It happens more often than you’d think. I’m not just pulling this out of my patootie, either. People have launched whole businesses on Reddit. 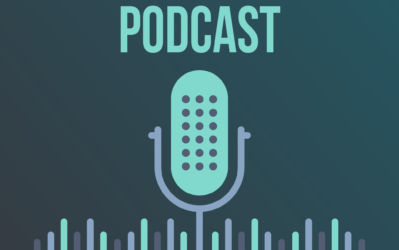 If you remember, we interviewed one of those folks on our podcast: Dhanish Semar, whose blog generates 1 million pageviews a month in Reddit traffic alone. Even posts that only get a few dozen upvotes on Reddit are often worth hundreds of visitors. So you don’t even have to knock it out of the park to enjoy the traffic. Here’s a brief cross-section of our own results. 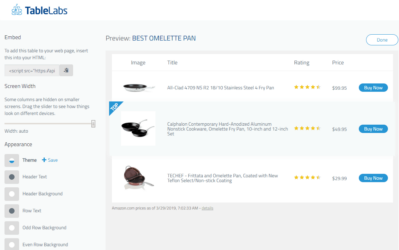 We post on Reddit when it makes sense, but we wanted to perform a controlled test with a new site. So, we spent two weeks testing Reddit promotion for our authority site, which didn’t have many visitors yet. The result was that the traffic was easy, easy, easy. Our site isn’t yet set up to convert that type of traffic, though, so we’re focusing on other things (kindle publishing, outreach, Google News) for now. However, we’ll be diving back into Reddit posting at some point. The traffic is too good to ignore. Anyway, here’s the traffic we got from about a dozen total posts sporadically posted for two weeks in October 2014. All told, our little experiment netted us around 7,000 visitors and about 10,000 pageviews. It probably took 45 minutes TOTAL to get that traffic (it only takes a few minutes to post something to Reddit). We’ve since repeated this kind of success with our site, and I’ve talked to many people who’ve done the same thing, and they’ve done it much more systematically that we did here. Remember, we were just kind of posting when we felt like it. And we were only posting once a day. You can really ramp this up if you have a good content creation machine and post several times a day (you’ll have to be careful here, though, since it’s easy to get banned if you do that). Whether you want traffic or links, Reddit can be totally amazing. I’ve spent the better part of a year “hacking” Reddit (mostly because I’m on the site in my spare time anyway). Today, I’m going to share what I’ve learned with you, so you can leverage it for you own blogs. So it shouldn’t be surprising that that doesn’t work consistently. I’m not saying that it won’t or can’t work. It can. And it can actually work well. And really, I think it’s an important part of the overall strategy. In other words, it can work, but it’s very, very far from optimal. First, it doesn’t take the audience into account, and the Reddit audience has a really specific internet personality type. Second, it’s not systematized. Third, it doesn’t recognize the power of seemingly irrelevant subreddits (I get a LOT of traffic from “irrelevant” subreddits). And lastly, it doesn’t take into account that each Reddit post needs its own promotion (just a tiny bit). The strategies in this post are the opposite of that. They’ll help you promote things in exactly the way Reddit prefers. They’ll also help you systematize your posting and give each post a tiny boost while staying totally within Reddit’s guidelines. Before we launch into these hacks, there are a few things you need to understand about Reddit. A few of them are technical things. A few of them are about the nature of the site. And a few of them have to do with the users. But they’re all very important for both the success of your posts and your long-term visibility on Reddit. So listen up. 1. Reddit loves to ban people. It’s ridiculous. They have an absolute zero tolerance policy about banning. If there’s even a whiff of a hint of someone spamming the site at all, they’ll ban the account—no questions asked. But it can get even worse. If that account was associated with any website, they’ll sometimes ban the entire domain from ever appearing on Reddit again. And it doesn’t take much at all to get banned. All that has to happen is for another user to report you. That’s it. Aside from getting banned from the whole site, you can also get banned from individual subreddits by the moderators of that community; this can happen even if you’re within Reddit guidelines, since those communities are policed by their own moderators. And there’s nothing worse than being banned by r/Fitness if you’re a fitness blog. Trust me. 2. Reddit generally hates self-promotion. With only a few exceptions, Reddit users don’t like to feel like you’re selling them anything. They hate feeling like you are just using the site to generate traffic. They do not like marketing teams. They don’t like being duped. The general rule for Reddit is that you should only be posting to your own content one out of every 10 posts. And people will check. Literally. The actual users of the site will go check your posting history and downvote you into oblivion if you’re only posting content from your own site. This is slowly changing. A few key members of the community started really good discussions about the merits and benefits of self-promotion. But for now, in general, it’s still very much frowned upon. 3. Reddit is, generally, much smarter than any other social network. Reddit is one of the few internet communities where intellectualism is highly valued. Smart content gets blasted to the top. Dumb content gets buried. Smart comments garner thousands of upvotes. Dumb comments don’t make it past the first couple of readers. I’m not exaggerating here. Reddit users pride themselves on being smart. And they are. Spend a few minutes in r/AskScience, a subreddit in which the comments are almost entirely composed by actual scientists. Or, take a peek at r/dataisbeautiful, a subreddit dedicated to amazing data visualizations. I’m not saying there aren’t idiots on there. Of course there are. There are going to be dummies and weirdos in any population of millions of people. But on the whole, Reddit users are wicked smart and reward stuff like wit, data, empiricism, facts, and honest dialogue. 4. There is a subreddit for everything. There is literally a subreddit for everything. If you’re a League of Legends player, r/LeagueofLegends has millions of readers. If you’re a reader, r/Books will give you access to hundreds of thousands of like-minded word nerds (can you tell these are my favorite subreddits?). There are subreddits for design, engineering, funny gifs, fitness, random thoughts, jokes, news, politics, any religion and marketing. There are subreddits for virtually every city, profession and hobby. There are dirty ones and clean ones, stupid ones and serious ones. Whatever your market is, there are probably several dozen subreddits for you to troll. It’s part of what makes the site so fun. 5. Long titles with tons of information written in full sentences perform best. I’m not sure why this is, but it’s true for almost every one of my posts. It’s also been well established by other Reddit marketers. Reddit titles have a character limit of 300 characters. That’s a lot of room, and you should use it. I’ve written several full sentences in titles before. So go nuts. Write long, informational titles. Include numbers if possible. And try to sound like a natural, honest person. Avoid sounding like a marketer. Avoid buzz words. Avoid capitalizing every word. And absolutely steer clear of titles that sound like they could have come from BuzzFeed. Here are some great examples of the kinds of titles I’m talking about (I just snagged these of Reddit today). So Samuel L. Jackson is acting in an upcoming Finnish movie called Big Game. Here's the trailer. A fireworks facility in Colombia exploded Sunday in the town of Granada. The blast was caught on camera by a reporter and his camera person. LPT (“Life Pro Tip”): To keep milk from spoiling early, treat the inside of the spout and cap as sterile. Never touch it with your fingers or lips. The average Redditor likes to feel as if they are talking to and sharing stuff with other people, not businesses and not marketers. So your best bet is to present yourself that way. 6. Most importantly, you need a decent, natural profile. If don’t want to get ripped to shreds on Reddit, you need a strong, natural profile. This won’t make your links stronger, and the Reddit doesn’t penalize the submissions of new accounts. So why do you need it? Because the actual individual users will check your profile to make sure you’re not spamming. This is especially true in subreddits with strong communities or if they think you might be spamming. They WILL check your profile, and if they find something sketchy, they’ll post it in the comments and report you. You can take care of most of that in an afternoon. However, you’ll probably notice the best performance if you actually take part in the site. Just find a few subreddits you like and join then community casually. 1. Upvotes determine if a link is dofollow or nofollow. This took me a surprisingly long time to figure out. I still don’t totally understand it because it seems to change all the time, and I think it changes from subreddit to subreddit. But what mechanism exactly makes a link dofollow or nofollow is still a mystery. This is what I know: when you first post a link to Reddit, it will be nofollow. After a certain number of upvotes, it will change to a dofollow link. Here’s an example of a new post I created. 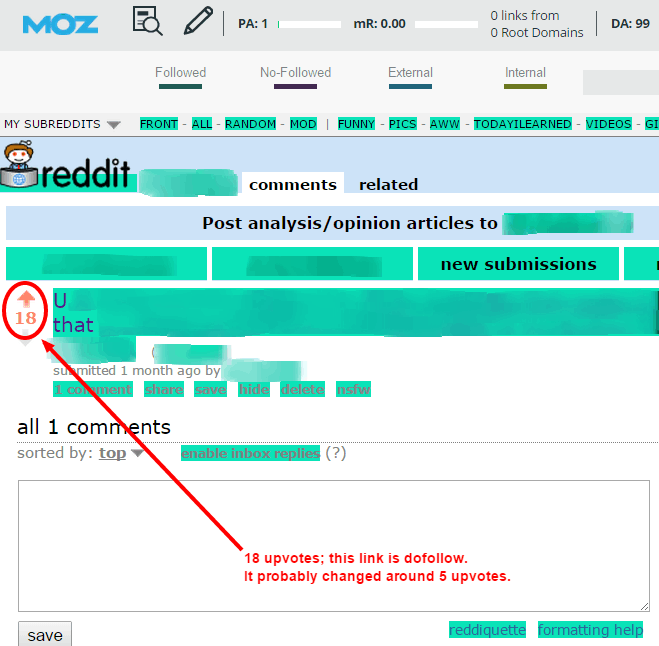 Using Mozbar, you can see it’s a nofollow link. In most subreddits, a post needs around 5 upvotes to change from a nofollow link to a dofollow link, although it seems higher in some subreddits. This is also true for links in comments: the comment must pass a certain upvote threshold before the link in the comment becomes a dofollow link. If you see exceptions to this rule, it’s probably because Reddit automatically follows links to authoritative sites. So, a brand new post linking to Google.com will automatically be a dofollow link, for example. 2. Only upvotes from real, aged accounts seem to stick. Back in the days of my youth, I tried to manipulate Reddit. I got banned almost immediately (ha), but I learned a few things in the process. Most importantly, I learned that you can’t just create new accounts and use them to upvote your content. They will seem to work from the point of view of the account that is doing the upvoting, but to the rest of the world, they’ll either not appear at all, or they’ll appear and then disappear a few hours later. So, don’t create a bunch of fake accounts. It’s pointless. And don’t ask your mom to create an account just to upvote your stuff. That’s pointless, too. You’ll need actual Redditors with real accounts to upvote your stuff naturally (more on this below). You can create two types of posts on Reddit. The first is just a link to an external site, which is pretty self-explanatory, and the images above are examples of that. The second, however, is a text post (the technical term is actually “self-post,” but I didn’t want to confuse it with self-promotion; they’re NOT the same thing). It’s just text post hosted on Reddit instead of a link to a different site. In a self-post, the creator can write as much text as he or she wants, and other Redditors can comment below. Here’s an example of a link post. (A few quick things to note about that text post that we’ll talk more about later: it’s super interesting, it’s long, it’s a good resource, and it includes dofollow links to a bunch of stuff. Keep that in mind when we talk about successful posting). 4. An upvote is usually worth 2-5 unique visitors. This varies. Usually, the subreddit is the biggest factor in how many visitors will click a link and go to your blog. In some subreddits, people tend to only read titles. In others, people tend to spend more time in the comment section of the post. For the most part, though, every upvote your post gets is usually worth 2-5 unique visitors. Here’s how that looks compared to our traffic during our Reddit promotion experiment (just a few examples from the posts I haven’t deleted). “Karma,” (your accounts “points,” essentially) doesn’t matter at all. It’s best to have at least some karma, but it doesn’t really contribute to the success or failure of your posts. So don’t worry about it, and don’t spend time building it unless you enjoy Redditing (like I do). Ok… that was officially the longest introduction ever. Now let’s talk about how to put it into motion. Promoting your stuff on Reddit for traffic largely depends on finding a good subreddit to post to (hint: I don’t just mean subreddits in your niche). And there are a couple of different ways to define what a really good subreddit for your site is. Usually, you’ll end up with a handful that work well for your site. So what makes a good subreddit? First, you can look for highly relevant subreddits. That’s the advice you’ll get from everyone, and it should be more or less obvious. If you have a blog about knitting, there are 31,000 people over at r/Knitting who would probably love to read what you’re publishing. The advantage of posting to highly relevant subreddits is that those readers are much more likely to convert. The disadvantage, though, is that highly relevant subreddits usually don’t have that many subscribers. The alternative, then, is to find a way to appropriately post your content to BIG, general subreddits. In the big subreddits, your post may not be super relevant to the interests of each reader, but you’ll typically get much, much more traffic, since those communities have a lot more readers. So, the advantage of posting to a BIG subreddit is mostly that each upvote is worth more traffic. The disadvantage is that these folks are tougher to convert. You’ve got to mix it up. The very most important thing to remember, though, is this: you have to totally follow the rules and conventions of whatever subreddit you’re posting to. Here’s what I mean. If you post to r/News, your title should look like a headline. If you’re posting to r/Jokes, your title should be a set up for a joke, and the text should be the punchline. If you’re posting in r/LifeProTips, your title should be structured like every other post on that subreddit. If you do that, you can get your best content to fit on lots of different subreddits. Here’s an example. This particularly strategy has worked REALLY well for me. One of my favorite subreddits is r/Todayilearned. It’s basically a subreddit for interesting facts. 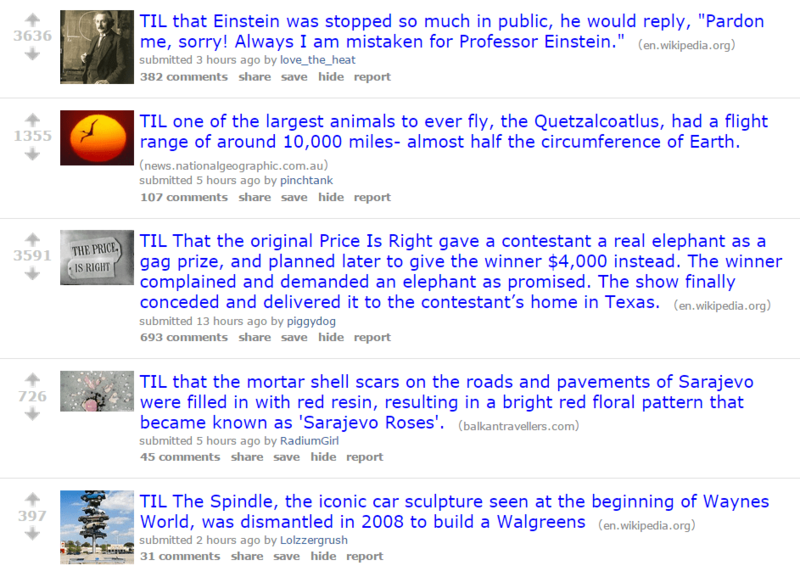 Every post is structured like this “TIL [interesting fact].” “TIL” stands for “Today I learned.” The titles are usually long sentences that give almost all of the information. This is a gigantic subreddit (7 million subscribers), and it’s very easy to promote in. I’ll just take a good post of mine and pull out an interesting fact. The best ones have numbers in them. Then, I’ll create a new post in that subreddit, and I’ll frame it as a TIL. So, for example, if I had a knitting website, I might write “TIL Harvard researchers discovered knitting reduces symptoms of anxiety by up to 40%, making it more effective than 15 of the 20 most popular anti-depressants on the market.” That’s not true, by the way. Just showing you an example. See what I’m getting at? I took content from my blog and structured it to fit into a gigantic, popular subreddit. Then, you just have to do some promotion. This is very important and pretty easy. For a post on a popular subreddit to get rolling, you only need about 5 upvotes. It’s against Reddit’s guidelines to ask for upvotes, of course. But it’s perfectly fine to share it with your friends. So after you make your post, just send it to a dozen friends. Post it on Facebook, tweet it. Whatever. You only need a few upvotes. If it’s a good post, Reddit will take it from there. This works best if you show it to friends who are fellow Redditors, since they’ll understand they should upvote it if they like it without you having to ask. Remember when I said you need a natural looking profile? You can’t just post your own content over and over again. You’ll get banned—quick. When you’re posting for traffic, delete your previous promotional post before you create your next one. That way, your profile will always only have one link to your blog in it, since it only displays posts that have not been deleted. Usually, you want to leave a post up for about eight ours. But you can afford to take it down whenever you see traffic starting to die off. Alternatively, you could manage a few accounts that all post one thing per day. I’m not advocating anything fishy here. I think you should actually take part in other areas of Reddit that interest you. And don’t do it just to make a strong profile. Enjoy the site! But if you don’t want to spend countless hours maintaining a diverse profile, just delete your promotional posts (and ONLY your promotional posts) before you create new ones. For this, you’ll want to use text posts instead of link posts. In some ways, getting a link from Reddit is much easier than getting traffic, but in some ways, it can be tough. This is the basic principle: create an extremely useful post in a highly relevant subreddit (relevant to your post–not necessarily to your site) that attracts links on its own (even if it’s only one). Go back and add your link a few days later. Essentially, you want to give the people of a certain subreddit something they would really get a lot of value from. Most of the time, if you do this, it will attract at least one link, which will in turn give the page PA/PR. For our authority site, it only took one try. It’s almost like writing an epic guest post. In fact, that’s exactly what you’re doing. You want it to be so obviously and absurdly useful that people would be crazy not to upvote it and that people would want to share it on their blogs. The good news is that it doesn’t have to be long. It can’t be 100 words, usually, but it doesn’t have to be 5,000 words either. Here’s an actual post that got me a PA47 link (sorry it’s blurry; I’m not giving you vultures my Reddit name!). This didn’t take me long. I came up with the idea, wrote it, posted it, and promoted it in a single afternoon. Not only did everyone on that subreddit LOVE it, but the moderators personally thanked me and sent me a gift! How cool is that? There are lots of ideas. And remember, you can also go through the top posts of that subreddit to see what tends to do well. HERE’S THE SECRET. The secret to really generating great links is to go back and add your link a few days AFTER you post. Unless your post is archived by Reddit, you can edit it for a long, long time. And you can certainly edit it a few days later. Plus, even the most popular posts on Reddit only stay on top for about a day before they fall off everyone’s radar. You do this because you don’t want to seem like a self-promotional wanker (remember, Redditors hate that kind of thing). In fact, in my opinion, you’re doing people a favor by not promoting yourself at all while people are actually reading it. After it’s fallen off everyone’s radar, go back and add your link. This is what makes links so powerful on Reddit. You have complete control. I’m not the only one promoting stuff on Reddit, and I’m certainly not the most successful. There are many, many other strategies out there. 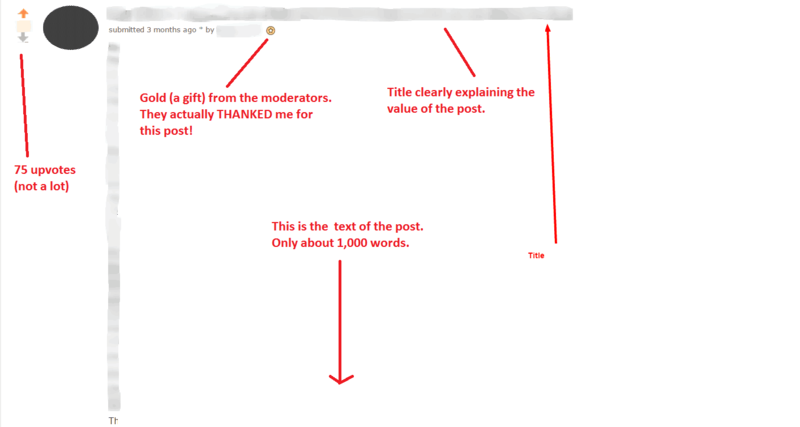 I’ve tried to present you with some robust, efficient strategies that adhere to Reddit’s Guidelines and provide real value for everyone. Want me to do the work for you? Want me to help you find some good subreddits to promote your blog in? 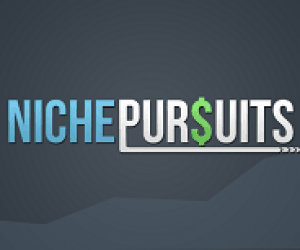 Leave a comment below with your specific niche, and I'll give you some ideas! Yes Brian, I agree with you. One can use the strategy by different IPs for the link building strategy. Reddit is really good for getting traffic to your site. Thanks, for this great post admin. My client already got high converting natural traffic from Reddit and I planned to leverage it for promotion. I’ll definitely use these tactics. Could you recommend me some sub reddits for Japanese learning niche? I love Reddit. I use it all the time, and I’ve done something similar for my personal blog. I just launched a web creation tutorial website (the url that’s linked in the website comment field). People on Reddit I usually find are not a good fit for that topic as they’re tech savvy. Agree? I’m open to sub Reddits you see that I’m missing. With stuff like this, the best option usually isn’t to promote your products directly. Instead, blog and promote useful/interesting information. Or you can use Reddit exclusively for links, which is great for some “dry” niches. Thanks for your nice post. I always like to read you post and in my browser you website is always open.Great Post, Thanks again! Thanks for this Perrin. I need to do some tests on this matter. I can see the benefits!!! Your posts are always great of information. It would be good to understand a bit more about your experience on Private blogs for link building. I understand that these have been banned lately. Maybe you could try the yoga subreddit. Many people with back issues do yoga. You could also try the fitness subreddit. Excellent actionable post, great stuff! I especially like your idea about deleting old (or failed) self-promotion attempts. I believe this strategy will work well for news-based sites, but e-commerce or very niche blogs will still need to add some more ‘secret sauce’ to get organic reddit hits. Spencer you are my hero. I actually look forward to your emails because unlike marketer X and Y I followed there’s no clickbank link trying to push something at the end of your article. I wanted to write a guest post for a blog talking about Reddit a few years ago, but apparently Reddit traffic is worthless. I think my first ever eBook got about 6000 free downloads. The second got lots too and it was a Kindle book that still does well years later. I’ve actually got a link up right now with free books. It also built my blog up quite a bit considering I didn’t promote it any other way apart from 5-6 guest posts. I don’t use exactly the same tactics as you, but it works and if you find something that works well you can’t ignore it. Having just over 4,000 karma myself (thank YOU, TIL and whatisthisthing), I’d like to add a couple of thoughts. First, I’ve been amazed at the ingenious community of people on the site. I just got tipped Dogecoin for sharing a site in my bookmarks. ***People honor the genuine, ‘I’m here to help you’, comments***. Beyond simply having a natural-looking profile, use the site to find out info you’d otherwise be Googling. I’d lay $20 on the table and say 5 minutes on Reddit will lead you to a broader variety of answers than Google might show for the same search. Second, entertaining and informing are the names of the game. You’ll notice on the ‘All’ sub-reddit how little selling there is amongst the thousands of upvotes. Going beyond ‘people don’t want to be sold’, it’s ‘people aren’t coming to Reddit to buy’. There’s no buying intent as there is on, say, Amazon. Third, imgur.com. It’s basically become the home for Reddit’s images, GIF’s, and other such visual elements. Know it, use it, love it. Finally, add flair wherever possible. Click the ‘edit’ button by your name on the right sidebar and see what’s possible in the sub-reddit. It’s an easy, three-second way to let the world know there’s a human at the other end of the keyboard. Tip: delete the last image. It took me 1 google search to find the post. Yep. Took all of 5 seconds to find your username, S**S*******. Great post. I’d hate to see you get banned because of some overzealous redditor. Hey Spencer – this is really good information! I have been using Reddit pretty much blindly for some time. I have managed not to get banned so far (but really don’t know how). I am currently only trying to increase subscribers of our youtube homesteading / back to basics channel and this information I can see already – will help. I appreciate your taking the time to do this. We mostly post in r/homestead. Doesn’t seem to be a lot of other relevant subreddits but lots of interesting information. Thanks Perrin. I will check those out. BTW – We are at about 9K – 10K visitors / day on our website and 15K+ /day on our Youtube channel. Any thoughts on how to better utilize that traffic? Making 0 on our website traffic – it’s mostly videos. Reddit does not works for some dry niches. All you have to do is find some other related networks for promotion. Sports, funny, wierd, food, DIY, entertainment and current topics do well on reddit. Meh… I dunno. Our authority site is in the education niche, and aside from plumbing or something, that’s about as dry as it gets. Thanks for sharing all those tips. I just recently got into using Reddit and it’s one of my main traffic sources right now. Haha. HOPEFULLY, they’ll see that we’re trying our best to provide real value. They’re a fickle bunch, though. What a great post Perrin and Spencer…i love that you give all this info and them don’t ask for 9.97 to get all the secrets. Going to go look if a surfing niche now…any ideas on a good post for that? r/surfing and r/prosurfing are the only ones I know of. You can definitely post in stuff like r/waterski too, though. Thanks for the post Perrin. I am going to check out some local sub-reddits and see what I find. Thanks for this insanely detailed guide Perrin! I certainly don’t have the time myself to implement this strategy. But my next task for my VA is going to be to read this post and familiarize himself with reddit. Hopefully it works out that my VA can learn and implement all of this with very little involvement from me. Sounds like this strategy will be a perfect addition to his weekly tasks! Agree with you. A while back I shared a few software libraries I developed in Python with community. I got quite a good response and a few stars on my Github repo. Reddit matters content. As long as you have a good content people will appreciate you. One may also create his/her own subreddit and promote it either via Ads or free by introducing it to relevant subreddits. Great article, I echo the thanks for writing an ebook and not making us pay for the content. I never been to reddit but it looks as though I need to look into the site. Do they have a section dedicated to bushcraft/survival/hunting/fishing/outdoors? I want to try Reddit. Would you provide suggested subreddits for Bug Out Bags? (It fits in the emergency preparedness and survivalism genre) Thanks. I have been trying over the past month to advertise on FB for my niche website. I have not gotten much traffic to my website. However I got fortunate by a link bait strategy I got an idea inspired by your apennyshaved project (did book reviews) where one author shared my site on his facebook page that had 65K friends (I got over 1.5k people to go to my site). My site is only 3 months old. Bless you and Spencer. I used to do some work for a client in the prepper niche. I found a ton of great content on Reddit I was able to turn into some high-performing content. They are fairly active communities (or at least they were a year ago when I was working in this niche). Thank you for your insights Matt and Perrin. Wondering if going into subreddit groups related like men lifestyle, hiking, self reliance, etc… would be worth it? do you think because there might be high competition among those already in my specific niche subreddits categories it might be wise to try related groups like hiking, men topics, self sufficiency, etc…) ? I appreciate your thoughts. Very informative post! I think what we can get from this is that you need to enjoy the website naturally and every once in awhile try these tactics. If you start becoming proficient at making each post look natural then you can do it more often. I’m definitely going to start doing this more often! So thanks! Great post Perrin. I hope the trick of editing your post after it has moved down doesn’t get abused. I can’t see them removing that feature though as many posts do in fact need to be edited especially when there is a large discussion and the op needs to add / remove content. Thank you for sharing. For sure. I don’t think it’s a big deal if you use it ethically. For example, I usually just go back and add the link as the source at the bottom. Simple, unobtrusive and helpful. So I have a surfing blog…With logo and trying to brand a bit ….but do you suggest in reddit I am just myself and not posting as my surf blog name? You guys freaking rock! This post also deserves a Gold as gift from moderator of the internet 😉 indeed a great post, really! Well, would you mind if you help me out in finding some sub-reddits in “Electric Shaver” niche? Something that specific is hard sometimes, but you could go several different ways. Post to r/gadgets if there’s some crazy new razor coming out. You can also post to subreddits like r/malefashionadvice or r/mensfashion with grooming tips/guides and use those for links. Just has to be good. Great post Perrin! Thanks:) Ive been looking into Reddit for traffic/sharing but I am a bit sure if it fits my audience profile, it probabily does, I am just not very used to Reddit, this will certainly help. Do you have any tips for sub-reddits that concern Parents with disabled children or if you want to get really spesific Cerebral Palsy, as that would be my main target audience. Great and informative article as always. I’ve known some of the strategies you’ve mentioned, but there are many that I have yet to use – so thank you. My only concern/issue with Reddit is that the traffic surge is temporary (at least in my experience). Case in point, your traffic stat shows the surge and then dies down later on. Although I know it’s just a temporary surge in the first place, I wonder, has that site’s traffic at least continued in an upward trajectory — even though it may not meet the same numbers as before? Thanks. 100% agree. Reddit is like any other social media: in order to get consistent traffic, you need consistent input. The upside is that you will get some residual links if that many people are seeing your content, and it’ll get some shares as well. Once again, many thanks for your super informative posts..
Hmmm… tough one. In my understanding, Reddit is an English site only. Hey Perrin, nice post – funny timing too, I’m working on a post which talks about using Reddit traffic as well, the amazing thing is I managed to make it to the front page. 275,000 visitors in 24 hours… The Reddit hug of death, thankfully avoided! Also, while I remember a really useful tip is to use the /domain/whatever.com which will show you all mentions of your site. Worth keeping an eye on that, if you naturally get mentioned, don’t forget to give it an upvote.. I have a car blog it is aimed at female buyers, I would like some sub reddit ideas, I was wondering though – is reddit better for a predominately male audiences? Perrin – great post. As usual, you guys put together awesome guides for the NP community! I’ve wanted to get started on Reddit but had been hesitant, because the rules/norms are so different than other social sites. I’m looking forward to using this guide to get the ball rolling. Keep the killer posts coming! Haha, this is a cool post! I have some natural backlinks from Reddit. 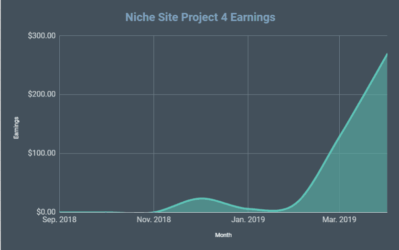 I didn’t even know what the site was (I thought it was spam site) because I saw a lot of traffic coming to my site from there, but I quickly found out what it was and I’m still getting traffic from that one post. It’s an information-based site, but I don’t know if I’d use this strategy for some of my Amazon product sites; it seems too risky LOL. This is fantastic stuff and I really appreciate every word!! My dilemma is, I’m promoting my forum site and trying to drive traffic there because it’s new. I believe most of the visitors are coming in as bots and not real, but maybe that will change soon. I’m using Reddit daily but not with any success to speak of. I’m mostly posting links from other sites that have interesting info, just to drive traffic, and I know you said this can be frowned upon as self-promoting if detected, so I’m worried about that too. I have two other sites (goalsforall.com and goalsettingworksheets.com) that I’d really like to drive traffic to, but afraid this would really be considered self-promotion. I’m not sure how to drive traffic to these sites other than paid CPC’s, which I’ve been doing for some time. Your thoughts please. What do you think about reddit ads? I personally have only tried them ones and fails. However, I know a few guys from the r/Entrepreneur subreddit who really, really like them. Seems to kind of depend on the market, and it’s very different than, say, Facebook ads. But they can be good for sure. That’s really awesome. I never look Reddit as one of traffic source. I will try it now. Thanks Spencer! I don’t understand some things. Why would you go back to post a link after it’s fallen off of everybody’s radar? That is, if it’s fallen off the radar, what good is it to add your link? If you need to delete the previous self-promotional post before posting something new, how does the cross-posting factor in? Aren’t you posting (essentially) a bunch of duplicate content and “breaking” that rule? Or do you just mean per subreddit? When posting the next self-promotional post, is it enough to delete the link to your site and not necessarily the whole previous post? When you go back and post a link after it’s fallen off of people’s radar, you’re doing for the link, not for traffic. The strategy behind that is to give readers a great resource without looking self-promotional (Reddit hates self-promotion). If you don’t put your link it at first, it’s much more likely to get upvoted and attract its own links (which will make your link more powerful). Thank you for sharing such useful information. Could you please explain why / how adding a link once the post has fallen off people’s radar is useful. This might sound silly but couldn;t help but ask a question to you Perrin. I’m little confused about putting in a link few days after actually putting up the post. Just go edit the text post, and as part of the post, but your link in. I usually just scroll down to the bottom of the text post and list my site as the source (with my link). What an article, love it! I’ve NEVER used Reddit and only ever opened the site once or twice… very confusing at first glance! I have always thought it sounds totally worthwhile getting involved in though, so now I’ve got no real excuses. I’m just getting ready to launch a travel blog focussed on food, wine and hiking (Gourmet Hiker) and would love any ideas on where I should start with Reddit. Thanks heaps guys! r/Food is a HUGE subreddit. Reddit is a specific place, not like a typical thing bloggers got use to. Perrin outlines some points very well about reddit, but the reality is (like always) harsher than it may seem from the first glance. For example, I’ve made quite a detailed research on my blog about protecting a website from hackers and shared my advice giving the summary of my article in a WordPress subreddit where someone asked for help. Surprisingly, my answer was deleted although it was one of the most useful out there (e.g. compare someone’s highly upvoted the simplest advice ‘delete admin user’ with my 15 WordPress hardening steps that are practically useful). But as I said, my reply was deleted, and someone’s simple eclectic advice get upvoted. I guess it was due to the fact that I have posted 3 times on reddit (just starting to participate there) and in 2 of my posts i linked to my website. So I guess moderators just considered it self-promotion and removed all my replies regardless of their usefulness. Happens all the time. Reddit’s a forum, and like with any forum, people won’t like everything, even if it’s right. Reddit is very much a number’s game. Well, I agree that people on each forum may or may not like anything. But moderating (deleting) messages that don’t break any rules (and actually are helpful) is a specific thing. Anyway, I don’t expect democracy by default anywhere, so it’s just a part of the game. Thank you for good traffic generation method post. I never thought Reditt a great site for driving traffic, as i was not able to understand the usage of it. As it does not have a proper guide. Today i will try your method and post you the results. I’m using Proboards for my forum, so after I post a link on the forum I then use the share button to send the link to Reddit. Therefore, any clicks on my Reddit post have to come back to my forum to be able to see the posted link. So, if all my shared posts from my forum to Reddit have to come back to my forum to be read, is this counted as promoting my Forum? Just for the record, I’ve been doing this for quite a while. I knew reddit since a year a go. But I haven’t try to submit articles through reddit yet. Thanks for sharing this a great post. So inspiring us! Well, I want to give it a shot. Could you please give me feedback if I was doing it right? By the way, would you mind guys help me by giving the upvote for it? Thanks for being brave enough to share your actual post. There are a few things you could improve here. 1. The one and only link in your whole profile is to your blog. Reddit hates self-promotion. You need a profile that makes it obvious you participate in other areas of the site. 2. This fact isn’t interesting enough for r/TIL. It’s something everyone knows. If I were trying to get people to that page, I’d take an really interesting fact and put it in my own article somewhere (properly attributed). Yeah I agree, Perrin should really ditch the Gary Halbert pitch lines. Great article! 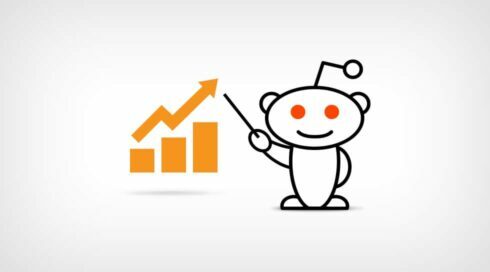 My blog is new but I’ve been using Reddit to get all my major boosts to traffic. The frustrating thing is I got an article taken down that was generating HEAPS of traffic for spam/self promotion reasons. I had no idea why at the time and I’ve been walking that line ever since of trying to post content that will stick and generate traffic without upsetting the Reddit gods. Thanks for the tips on here. I’ll be using them for sure! Reddit is best Platform to Drive Good traffice but i am not success to drive traffic from reddit .this post is very helpful for me love your post.Thanks for it. Really amazing post I always wanted to learn more about reddit now I have it all !! I agree this would be a great idea, but would this not be detected by reddit? We would all be voting one another, so reddit would detect IP addresses and accounts, and hence probably ban us. Not sure about this one. Any other ideas out there? I am all excited for your authority site. Very nice tips on using Reddit as a platform for traffic and links. Keep going and take care. That was so nice of you to say you will find sub reddits for us. You are great. Submitted my first reddit-text post and it’s getting some up votes naturally already. Just not exactly sure what I am suppose to next. It’s now simply a matter of waiting a couple days then deleting the text and putting in a link to my URL? Or do I just add the link at the bottom (ideally to a relating page, not just my home page). Thanks for the response Perrin! When you say delete, do you mean the entire post as if it never existed? How did you know whether this traffic was REAL EYEBALLS or not bots? I have had my stats distorted within no time by facebook bots and its a nuisance. 250, 300, 500 pings to all the pages and its nothing to do with anyone other than bots seeing my posts and playing around. Thanks a bunch for this post! I have only heard of Reddit and havent ventured once into it, but I see a load of value now thanks to your pointers. Mine is an Art & Decor blog, could you point me to any great subreddits I should be a part of? Maybe someone knows a good subreddit to share links to pet related articles? All that I’ve found was either pictures or text posts. Fantastic guide, Perrin. Really helpful insight into a largely neglected traffic source! I would just add that linking to pages that contain affiliate links is also largely frowned upon there (I’ve had mods ask me to remove these kinds of posts before), so only link to your posts that don’t contain such links. They let me off the first time, but I’m sure had I pushed my luck after that then they wouldn’t have been so forgiving! YES. Thank you. NEVER use affiliate links on Reddit. Most subreddits will perma-ban you immediately. Hi , i want just ask you how i can know if the niche have a high compititor ! i analyse my keywords in long tail pro and i don’t know how i can judge if the keywords have high compititor or not ! As always a wonderful read with plenty of great things to learn. It’s worth time spending here. I have a travel blog and reddit only came on my radar when someone else submitted an article and I got 1000 referrals from it overnight. So no I must make a profile and try and implement some of these ideas. What subreddits would you suggest? I speak about general travel, adventure travel, motorcycle travel, as well as a few more topics. Uhg. So much to learn! I need to reread this whole post. I started using Reddit several months ago. I was just answering questions in my niche and about half the time adding links to my site. Then I lost interest forgot about it. Then I came across this epic content and went, ‘oh yeah, Reddit’. Before actually reading the whole post I went to Reddit and added a bunch of comments/answers and links to my site. Then I came back here and read the whole article. DOH! I went back to Reddit and deleted a few (not all) of my links to my own site. Then…I read the rules and it says “Feel free to add your own links…” . Doh again! I had no idea participating in Reddit was such a science. Amazing post! I’m hoping I can make sense of it all some day. Thanks Sylvia…you’ll get the hang of it! So how did yours get to 48? p.s. followed this post, now in 10 subreddits, with a link karma of 30! 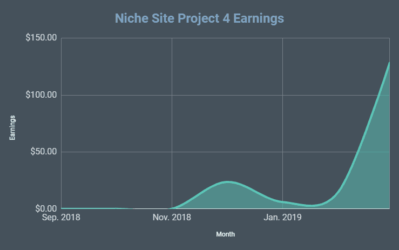 While I am on, I also wanted to ask, if you have 5 sites say in different niches, when your established on the site in a few weeks, should I try the same tactics for each niche. What I mean is, can one profile supply multiple links to different sites eventually. a PA of 0 just means the PA hasn’t been assigned yet by Moz. It could be a new page, or just a page Moz hasn’t gotten to. In time, it will have a PA.
One profile could be used for different sites if done carefully. You want to make sure to link to other sites besides your own as well. Don’t be overly promotional. I am looking to bring traffic to one of my tutorial post “How to build a blog in 5 minutes”, what do you think about it? 1) You specify deleting your prior self-promoting post before creating the new one, but, if you delete your previous(link containing) post, doesn’t that negate the benefit from the link? 2) People link to Reddit posts? Awesome post! The bit about upvotes eventually turning the post’s links into dofollowed links was really interesting! My site is Shotkit – would love to hear your ideas for subreddits! I am going to follow it. Thank You for teaching Reddit!! I have learned writing long posts from your blog. Love you. This is fascinating. I am new to attempting to market my little company using social media and I am definitely intrigued with the possibilities of Reddit. I’m a trainer and facilitator focusing on leadership, conflict resolution, communication, negotiation. I suspect there are lots of subreddits… any suggestions for where to start? Excellent post. Successfully submit a link in the reddit after reading your post. Earlier when I tried to submit, I usually select the wrong sub-reddit, and don’t get the results. But after reading your post, my link is successfully submitted in the reddit. Amazing , Very Knowledgeable , I am going to perform this as i never get successful before on Reddit . Hi, thank you for your post. One thing that confuses me is whether I can get do follow link with only link posts (suppose I got a lot upvotes). So, if I delete that link post, it means I lose the link? It’s awesome, however, my niche is Entrepreneur/startup/marketing and so, and no links allowed there…. any ideas? Very interesting. one thing I like to add is that make sure you have enough good contents before to start sharing in big sites like reddit. 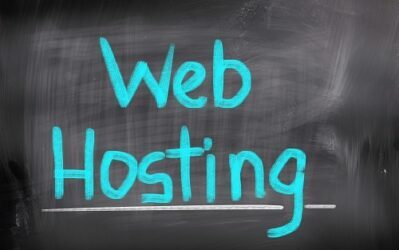 because It is not professional to let thousands of visitors to visit your website and you only have one or two posts. they will leave soon. I am not saying you have to write tons of post but at least few posts that can attract visitor to stay. Great post! Can you suggest some sub reddits for Mens designer (luxury) fashion (specifically jeans). My company manufactures silk lined jeans made in San Francisco. You have just given me a wonderful idea! I have just started my site and was looking for heavy traffic since I was not doing well i read your whole post. Will start using reddit now! Thanks alot for sharing your personal experience. Excellent post! Have you gotten any more data about what it takes to change from a nofollow to a dofollow link? Does popularity of the subreddit itself come into play, or can I really just get 5-10 upvotes on a post and get that dofollow link? We don’t have any further data. It may just be a few upvotes and popularity helps.